A high quality backpack that will have you prepared for whatever the day throws at you. The perfect bag for school or Uni. These modern style backpacks are made from a rugged 600D polyester material with a decorative patterned ripstop nylon front panel. Not only will they carry books and everything you need, but they have an inner compartment to hold a laptop or tablet. 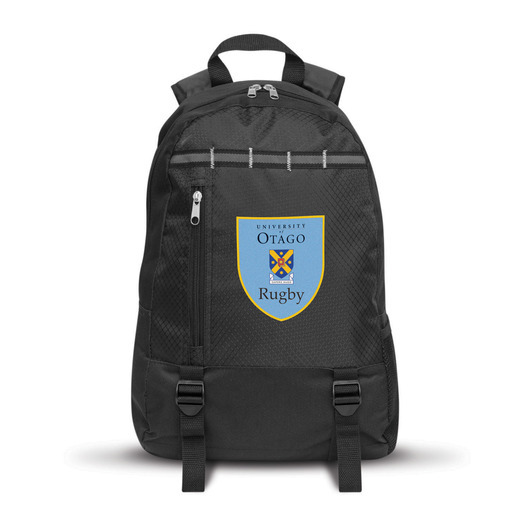 These backpacks also feature: a padded back, base and adjustable padded woven shoulder straps, a woven carry handle, a vertical zippered pocket, a mesh water bottle holder and twin external straps for holding a jacket etc.